Bhopal, January 28, 2016 (Ataullah Faizan): Rewa has received a major gift on Republic Day. Now, free dialysis facility will be provided o patients at district hospital. Energy Minister Mr. Rajendra Shukla inaugurated the facility on Tuesday. He also dedicated trauma centre. Minister Mr. Shukla said that free treatment facility will be provided through 2 dialysis machines at district hospital. Third machine will also be made available soon. Mr. Shukla described it as a major gift. 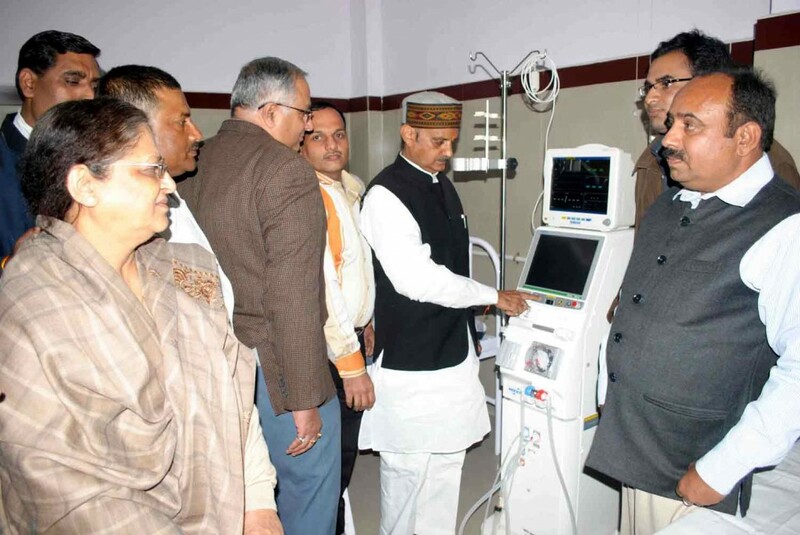 Mr. Shukla said that all efforts are being made for better healthcare services at Rewa. He directed to complete building of district hospital at the earliest.